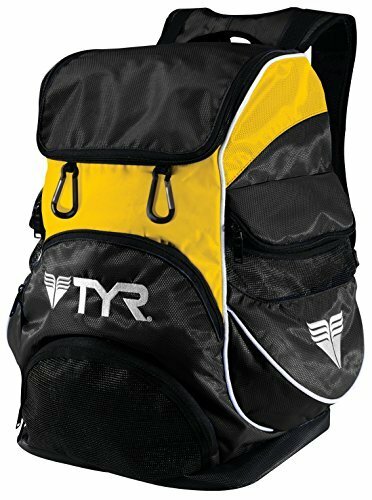 The TYR Alliance Team Backpack II from TYR features a goggle saver pocket, reinforced inner pockets, MP3 player pocket , wet/dry compartment and comfortable carry straps. Size: 18.5 x 13.25 x 9.75" . Available in a choice of colours. Here in Black / Gold (Golden yellow) as pictured.